At first I thought bakers had some kind of magic wand where they just throw some ingredients into the air and then somehow everything comes to life and just sing a song and eventually a sweet treat would come out of the oven. Then I go to a baking class and the teacher just ruins everything with math and computations on how much flour and wheat you have to put in a batch just so that cookie is fit for human consumption. 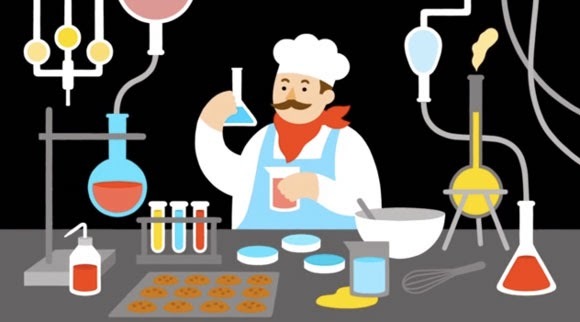 Anyways, it looks like the guys over at TED can't help but explain all the scientific stuff and chemical reactions that happen each time someone bakes a cookie. It's actually a great way to waste 4 and a half minutes of your life learning something new. Watch the whole thing after the break.